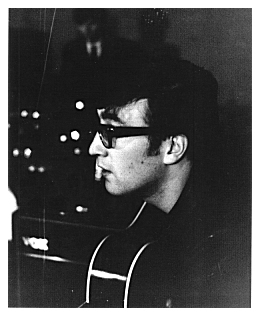 but here's what we've got. 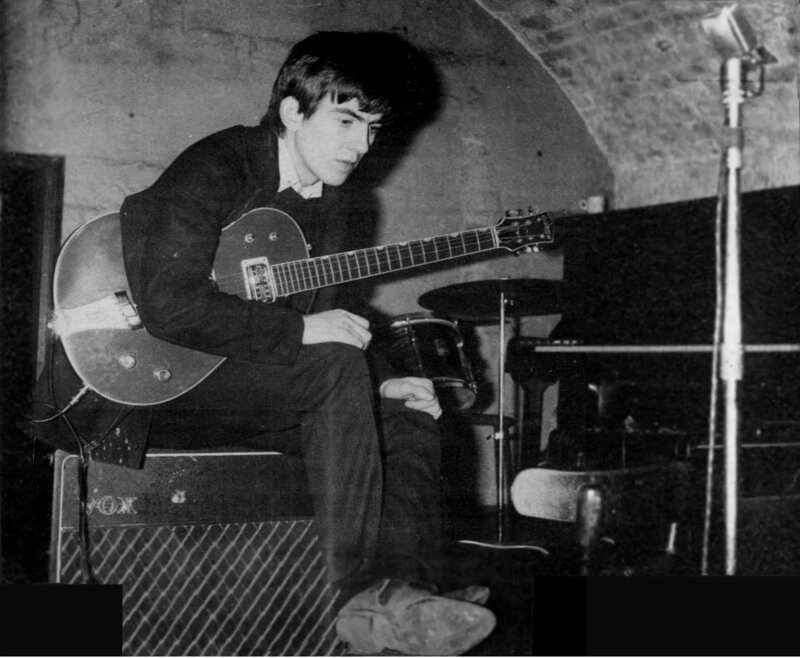 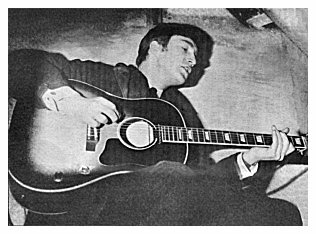 Andy Babiuk, in Beatles Gear, dates these photos as January 1963. 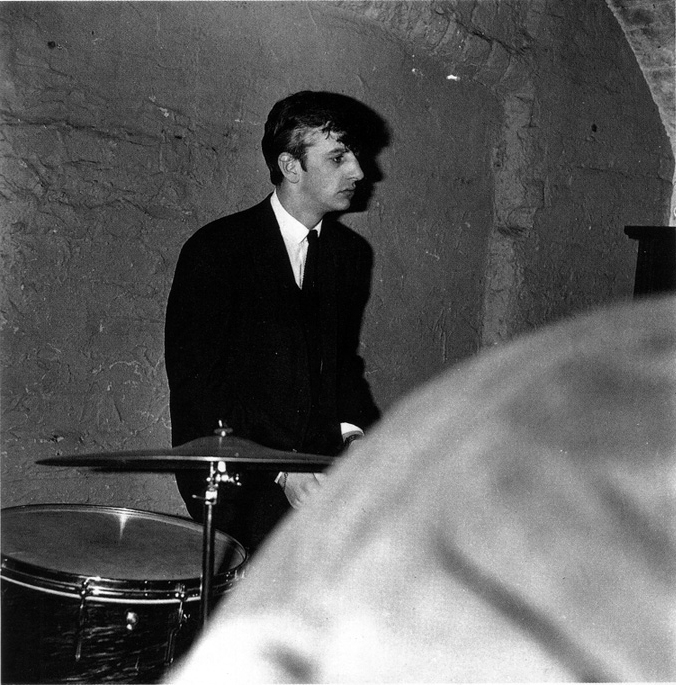 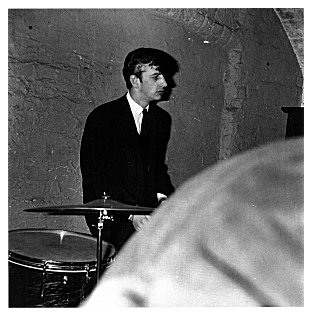 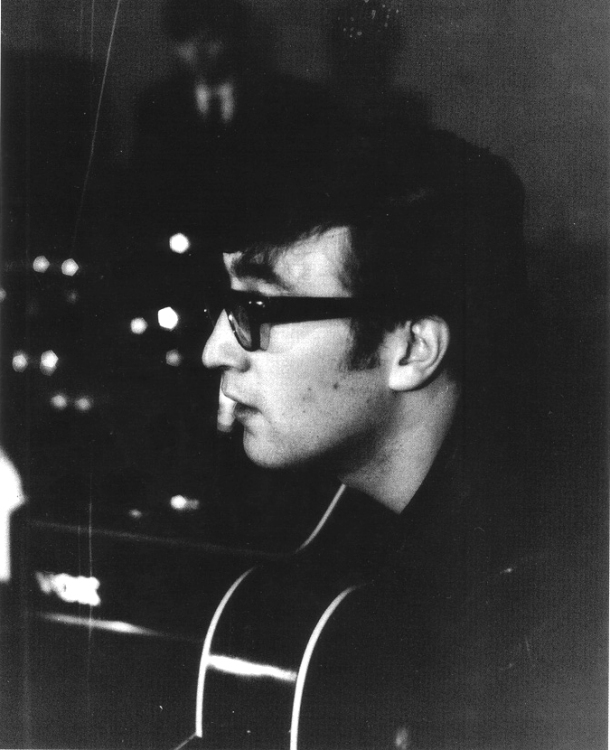 He also states that it was in January 1963 when Ringo changed his drum logo. 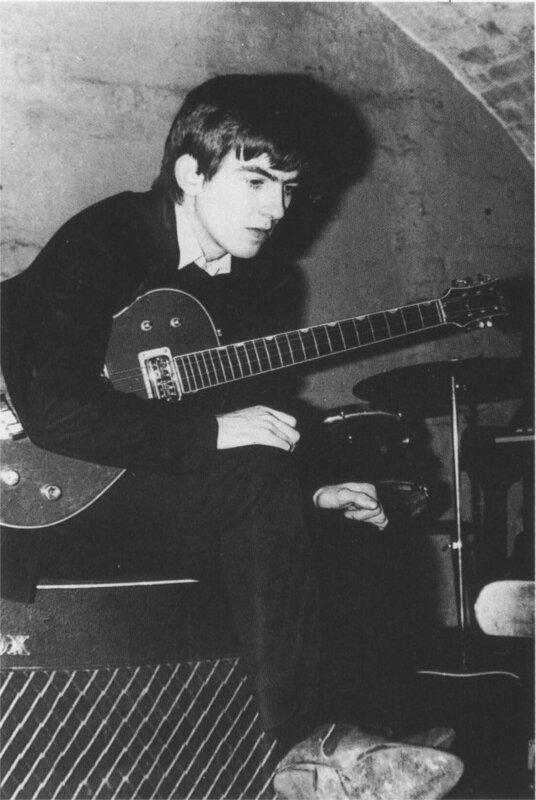 George is playing a borrowed Gretsch Jet Fire Bird instead of his Duo Jet. 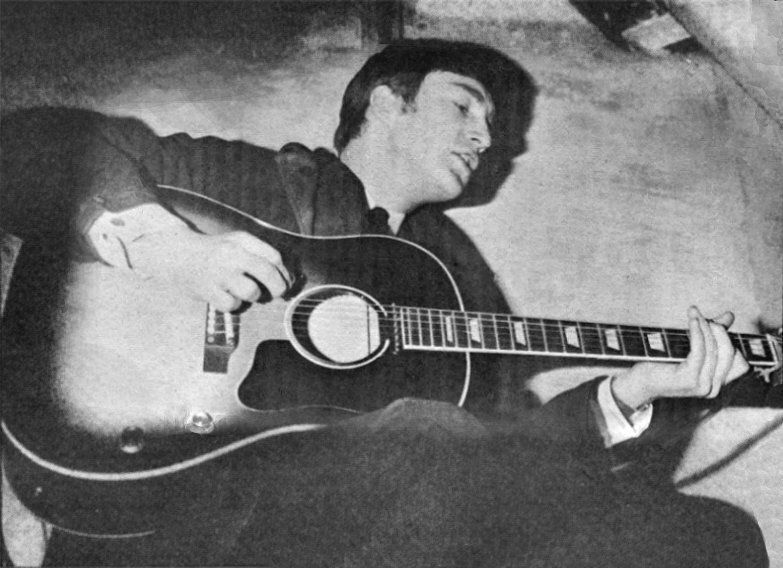 This guitar is seen in photos taken at E.M.I. 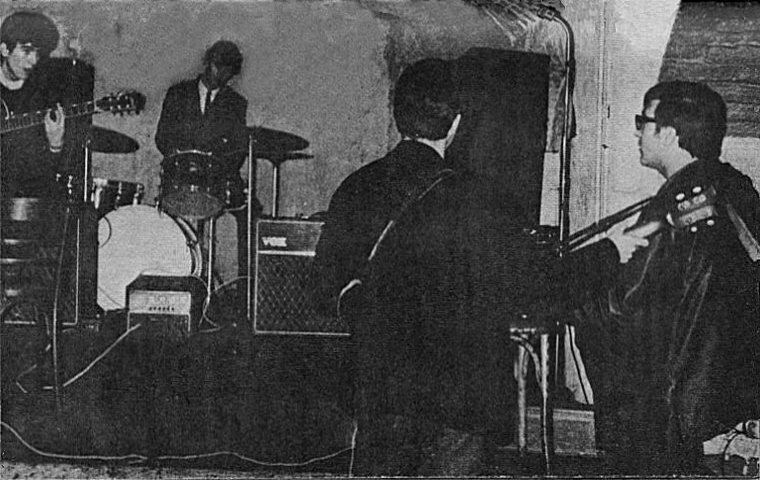 House on 21 January 1963. 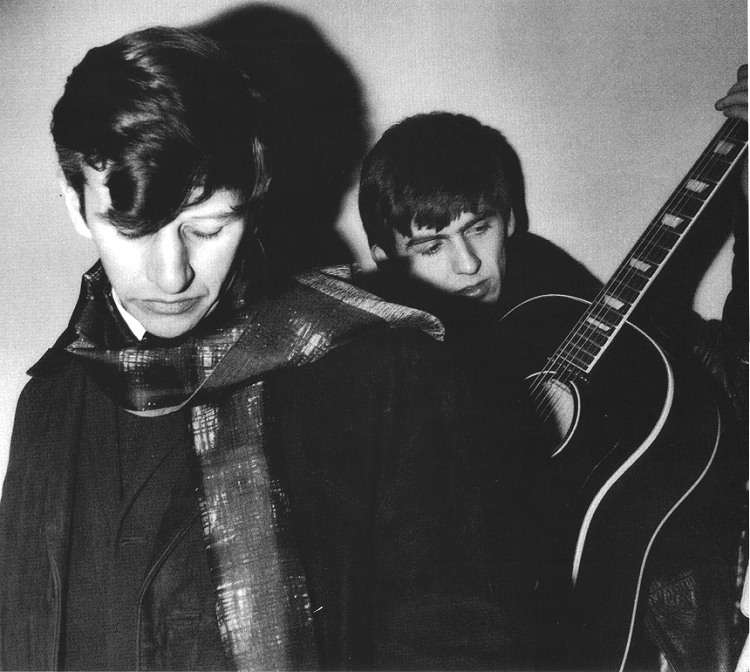 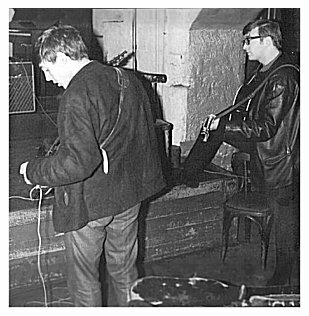 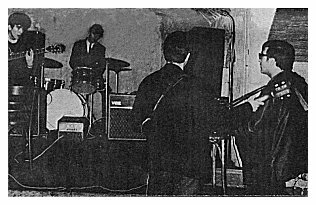 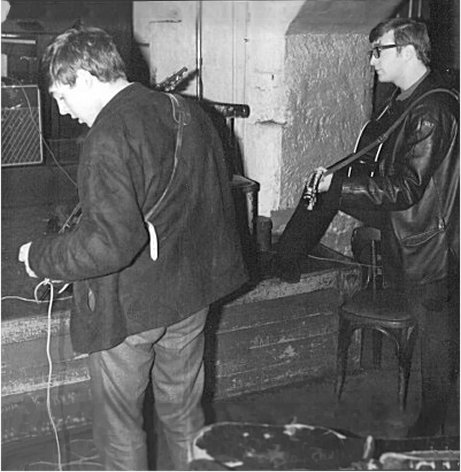 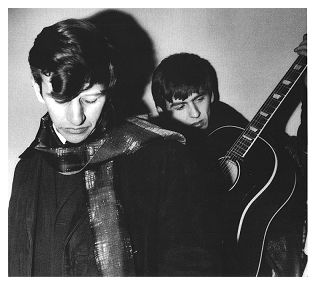 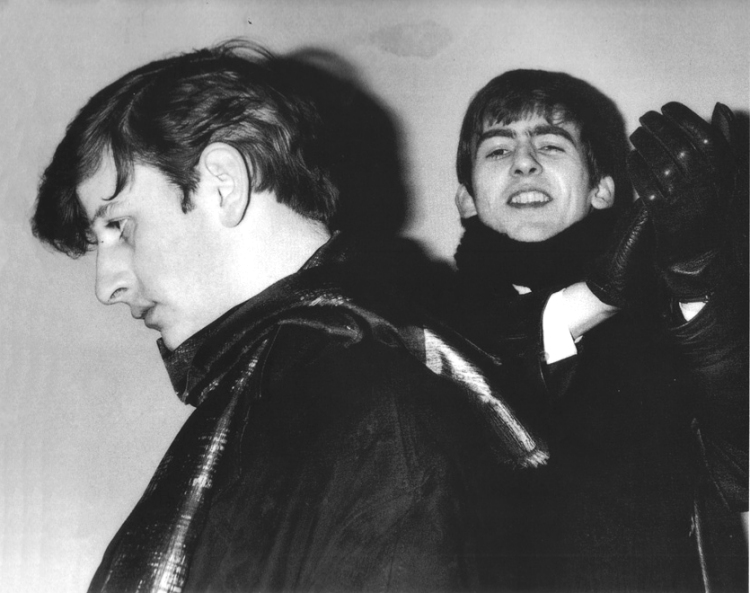 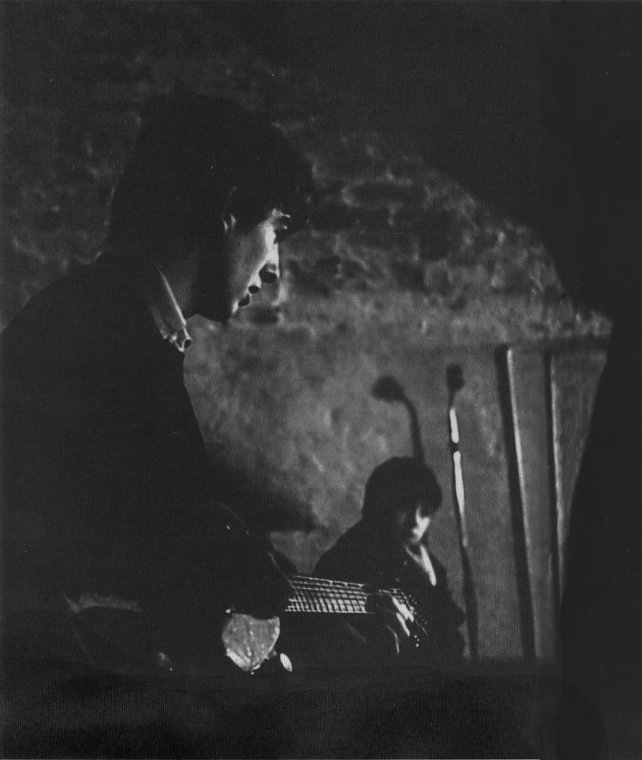 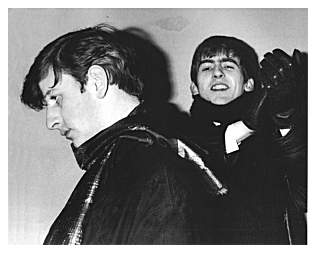 Mark Lewisohn, in The Complete Beatles Chronicle, states that John and Paul began writing "Misery" on 26 January 1963.
photo #1 (right) "...busy putting yet another tune on to tape". 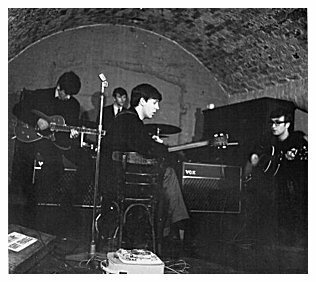 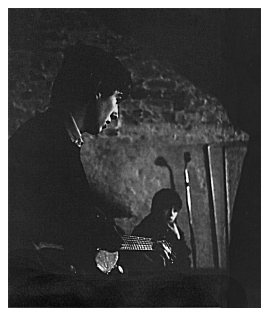 photo #2 "...taping "Misery" at the Cavern". 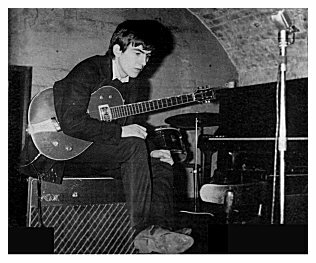 photo #3 "George...listens to a playback of one of John and Paul's tunes..."
The Beatles played The Cavern on 30 and 31 January 1963.
interim between his "Ringo Starr" logo and the first Beatles "bug" logo. 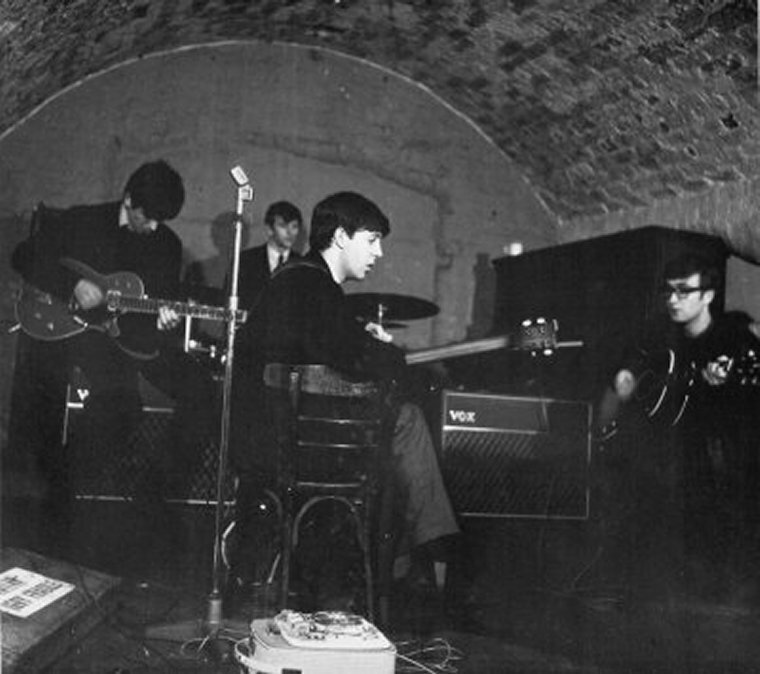 Note the Grundig recorder in the foreground.